The Palaszczuk Government has allocated $456.7 million to natural resources and mines as part of the 2016-17 budget. Of the almost half-a-billion-dollar budget, $33.6 million over four years ($8.3 million in 2016-17) will be for abandoned mine land management, including ongoing remediation projects at historic mine sites on state land and mine shaft repair activities in Gympie, Charters Towers and other Queensland communities. Another $7.3 million over two years ($3.6 million in 2016-17) will fund a specialist coal seam gas compliance unit which investigates landholder concerns about CSG. A key initiative of the budget is to support drought-affected landholders and upgrade the satellite imagery of Queensland used across government. Minister for Natural Resources and Mines Dr Anthony Lynham said the Queensland Budget extended existing relief measures to support landholders in communities across the state. “About 80 per cent of Queensland is currently drought-declared and landholders, local businesses and their communities continue to experience financial hardship,” he said. waiving the water licence application fee for new applications seeking licences to take water for stock and domestic purposes in drought-affected areas until 30 June 2017. Dr Lynham said $7.8 million over four years would be used to buy high-resolution satellite imagery coverage of Queensland in a joint initiative with the Department of Science, Information Technology and Innovation. “The department will buy high-resolution satellite imagery covering the entire state every year, instead of every three years,” he said. “This new coverage will see Queensland with one of the most comprehensive imagery datasets in the world. “For example, timely high-quality digital satellite imagery will assist in vegetation management monitoring and the early detection of land cover change; particularly in vulnerable Great Barrier Reef catchments where satellite imagery will be collected up to three times per year. “It will also assist other government agencies for purposes including monitoring Great Barrier Reef health, agriculture, emergency services, resource sector exploration, main roads and natural disaster recovery. Queensland Resources Council chief executive Michael Roche said the treasurer should be congratulated for agreeing to partner with the QRC on their Jails to Jobs proposal. “The budget provides $1.3 million for a pilot program to transition 30 Aboriginal and Torres Strait Islander offenders from prison into employment in the resources sector,” Mr Roche said. Mr Roche said he was concerned however, that the budget ignored the “importance of encouragement for exploration and discovery of new minerals and energy deposits”. “For the first time in at least four governments, the budget contains no specific program funding for pre-competitive geo-science programs through the Geological Survey of Queensland (GSQ). 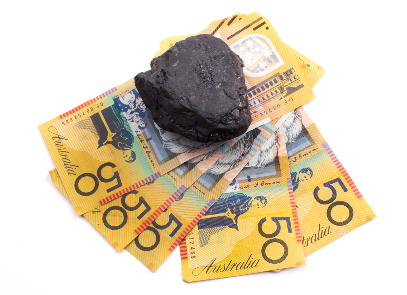 With exploration in Queensland languishing, this decision to slash funding to GSQ by half is hard to fathom,” he said.